The proportion of consumers who use wireless charging has increased from 10 percent in December 2016 to 40 percent in April 2018. The Wireless Power Consortium (WPC) conduct a comprehensive annual survey of 1,600 consumers in the U.S., U.K., Germany and China. In 2018, 40% of respondents said they use wireless charging compared to 10% in 2016. And consumers are “eager to make wireless power a bigger part of their everyday lives,” according to the WPC. 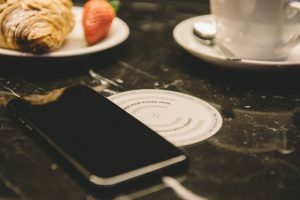 The survey indicated high levels of interest in seeing wireless charging deployed beyond the home and car, in locations including hotels, airports and coffee shops. Most of today’s leading smartphone manufacturers support the WPC’s “Qi Certified” wireless charging products which are already available in thousands of products. Templand Group business, ITI Network Services, offers complete implementation and management of Chargifi’s Qi-standard compatible wireless charging technology. Please get in touch for more details about specifications, implementation and management of Chargifi. Contact Dave Walker: call +44 114 282 3301.